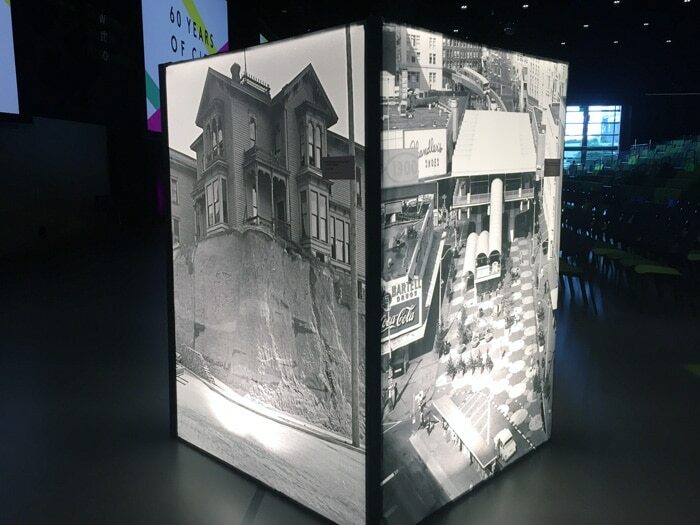 Here’s an interesting lightbox project we recently completed for the Downtown Seattle Association. It involves a creative application of our fabric printing capabilities. 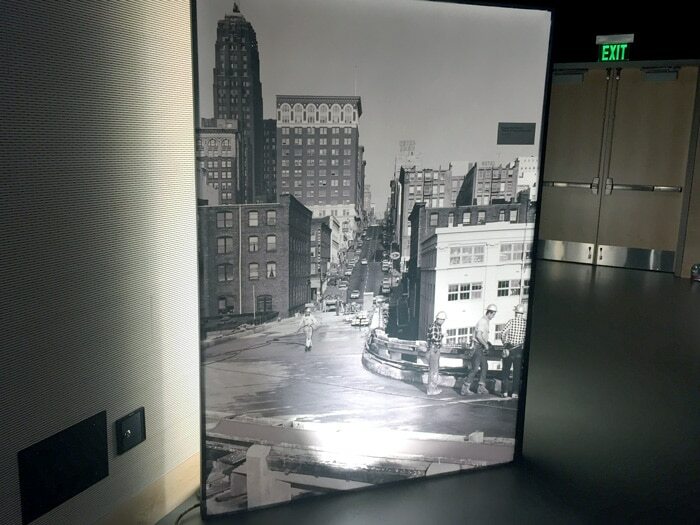 Historic photos of Seattle were printed onto large fabric panels and then mounted on to custom built frames. The frames were then lit from behind to create the backlighting effect. 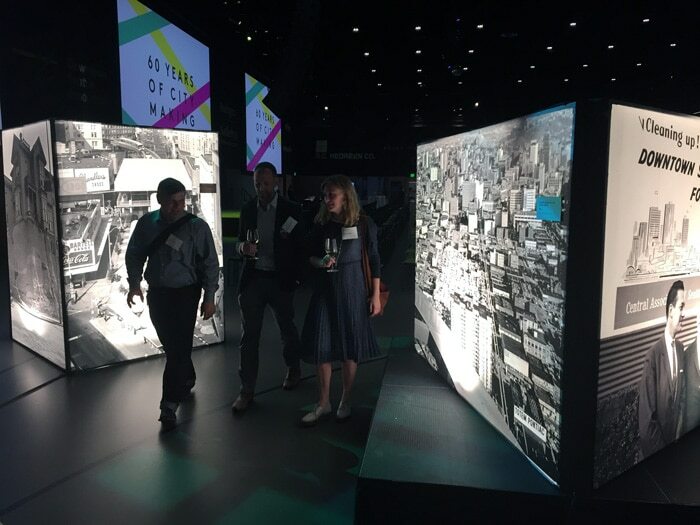 The lightboxes wowed guests at the DSA annual meeting. They helped create the perfect setting for the evening’s festivities. 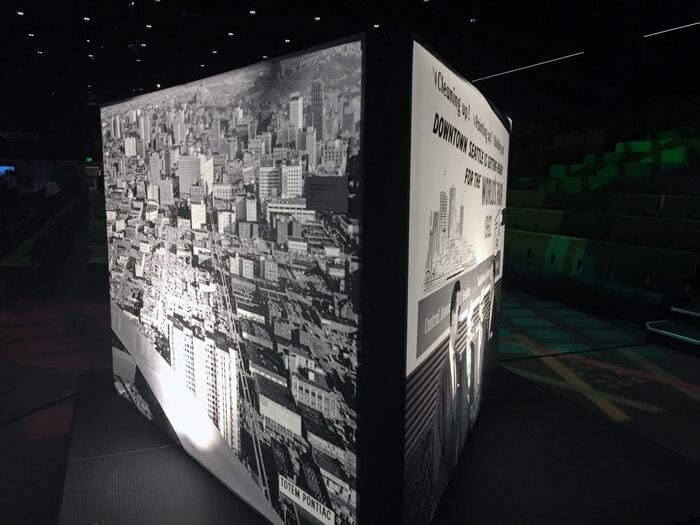 A total of ten lightboxes were created for the event. The lightweight nature of the fabric panels made them easy to disassemble once the meeting was over.